Q: How Long Can I Keep Mascara? A: Three months, but no longer than six — max! Even if you haven’t used up your entire mascara tube in three months, you might just want to toss it and get a new one. This might not sound ideal for the frugal beauty addicts out there, but it’ll be worth it for your own eye health. 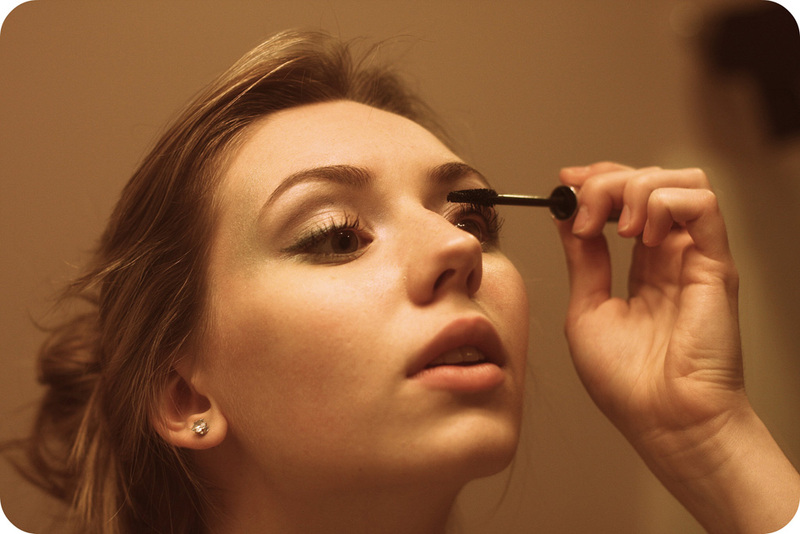 “If the mascara does not look, feel, or smell the way it did when you bought it, or if you’ve used it after having an eye infection, discard the mascara even if it is before the three-to-six month recommendation,” dermatologist Joshua Zeichner tells Allure. 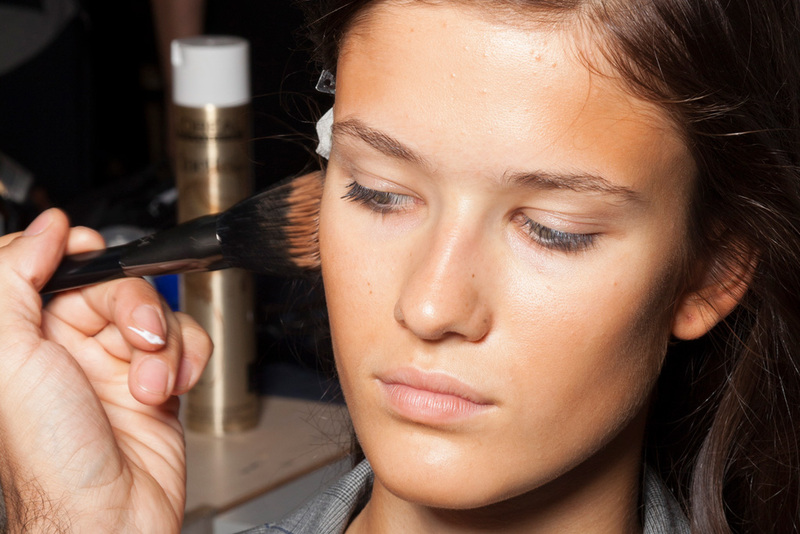 Q: Can Bronzer Be Worn Year-Round? A: Of course! 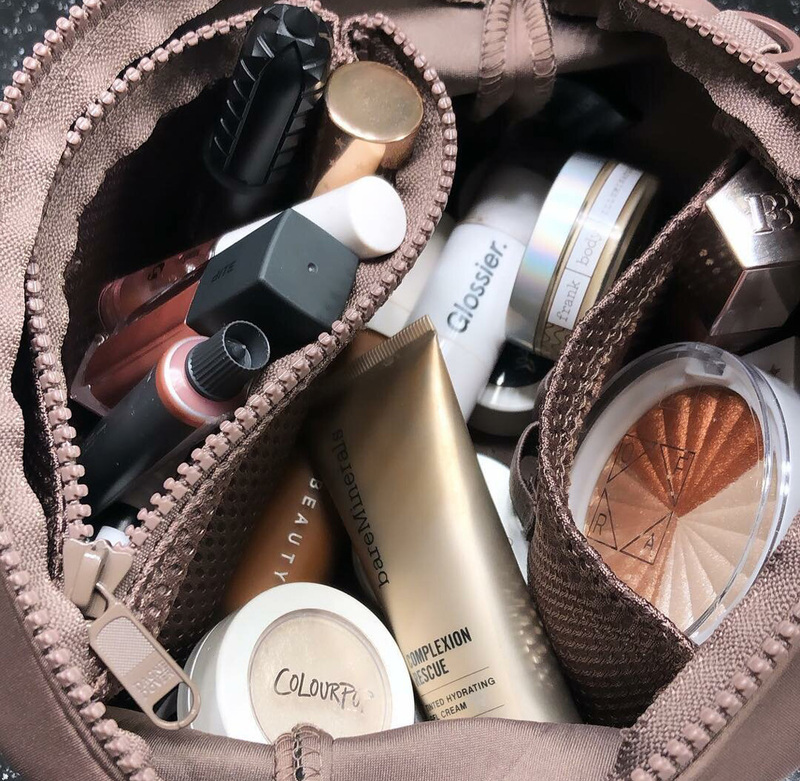 While many people believe that bronzer is exclusively for the summer months, who says you can’t maintain your warm glow as the temperatures drop? You might just need to be a little more methodical about how it’s applied. You definitely don’t want to go too dark during fall and winter, otherwise, the fact that you’re wearing bronzer would be too obvious. Look for a sheer, lightweight formula that’s buildable. You don’t want something too shimmery, but anything too matte will also look like dirt on your face. Take it easy, but emphasize your temples and other areas that sun naturally hits. Coming up, you’ll see that contouring isn’t as intimidating as it seems. Q: Do I Really Need To Use Primer? A: Yes, for the most part. Doing exactly what the name implies, primers prime your face for all the beautiful makeup looks that you intend to pull off. Primers are made with silicones that create a smooth, fine-line-free canvas out of your skin. Your makeup not only applies better, but it keeps everything from sliding off throughout the day. Just remember, a little goes a long way. 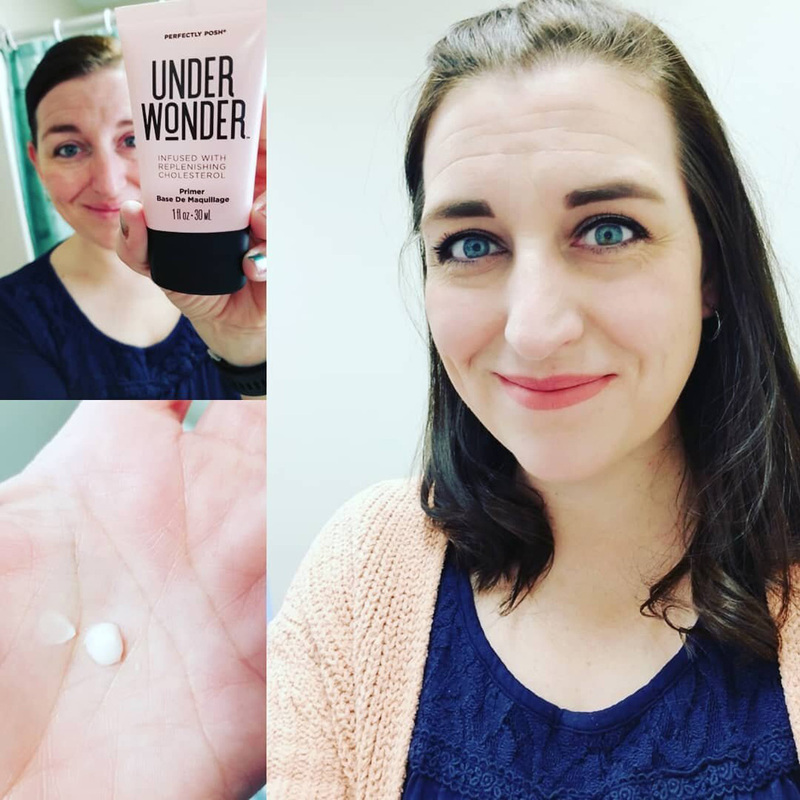 Eye primers are essential if you’re going for intense eye-looks, but when it comes to your face, you may want to check if your moisturizer or foundation already has primer built into their formulas. 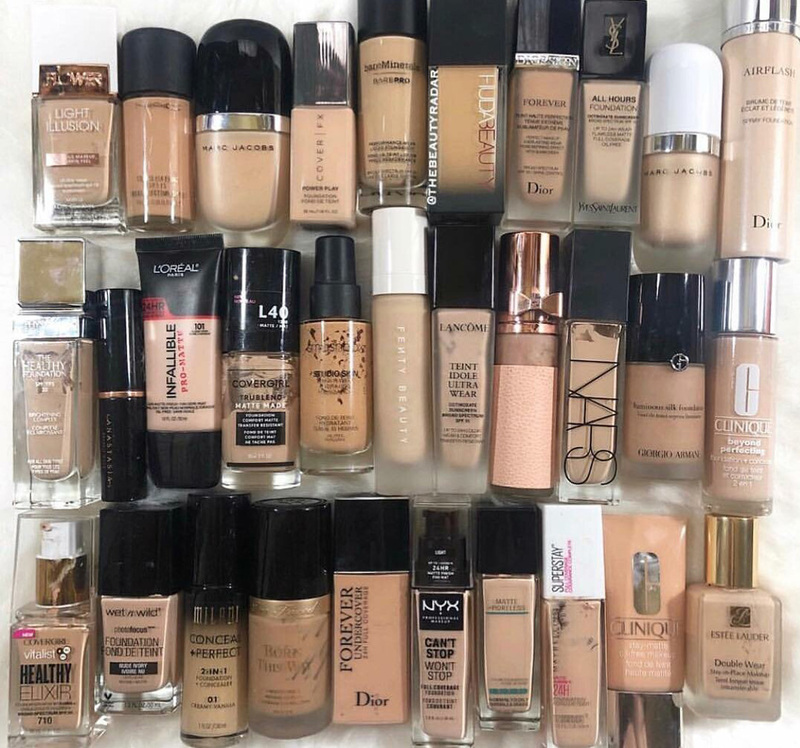 Q: How Do I Pick A Foundation? A: The answer to this question depends on what kind of coverage you’re looking for. Sheer coverage would help enhance your natural complexion, but depending on how flawless you want your complexion to be, you can opt for medium or full coverage. The next thing to consider when picking a foundation is if you want it to have a matte, natural, or dewy finish. As for what shade to pick, it’ll help to know if you have warm or cool undertones, but your best bet is to go to your local Sephora or makeup counter and get shade matched. Q: How Do I Contour My Face? A: Contouring isn’t as intimidating as it seems. If you imagine a light over your head, the areas the light illuminates are your highlights and the areas cast in shadows are your contours. You need only a foundation or concealer in a shade deeper than your skin tone, and one that is lighter. 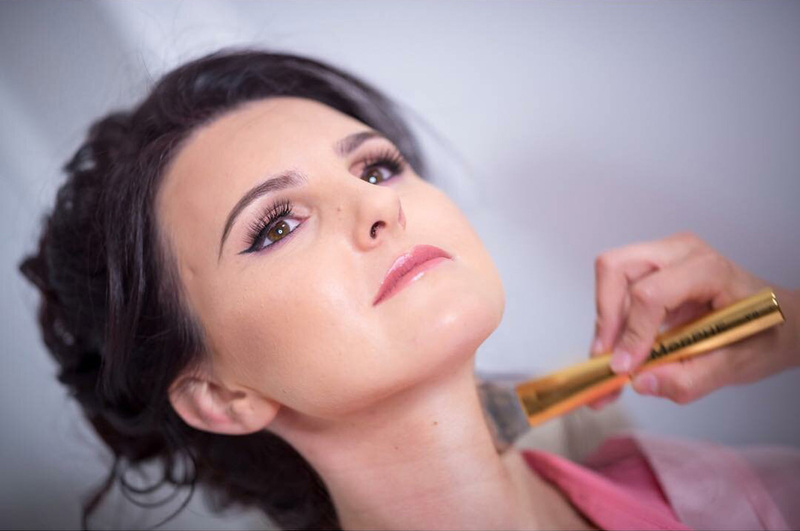 After applying your normal foundation, trace your temples, cheekbones, and nose with the deeper shade and blend it into your foundation. Concentrate the lighter shade under your eyes, the center of your forehead, and the bridge of your nose. Finally, finish it off with a light dusting of a loose powder. 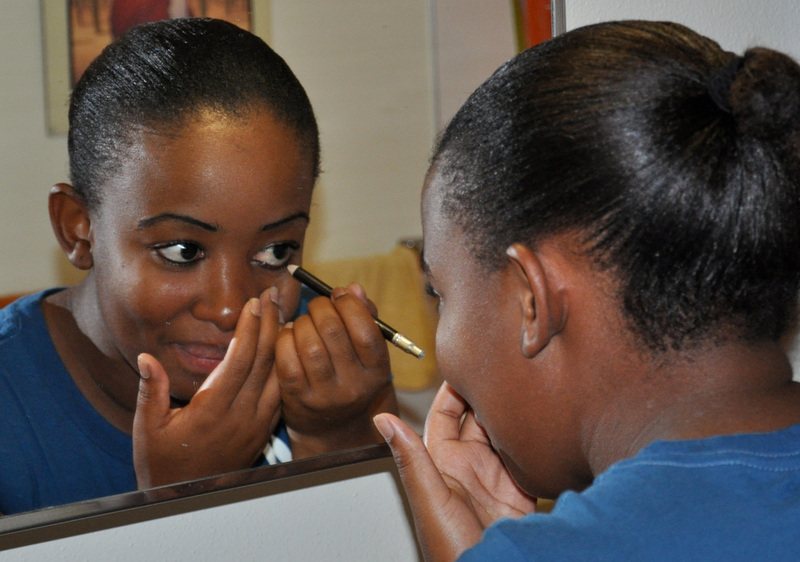 Speaking of under-eyes, find out how to brighten up your dark circles coming up! Q: How Do I Keep My Eyeliner From Smudging? A: Our eyelids are naturally oilier than the rest of our face, especially if you’re used to moisturizing or applying eye creams in this area. If you want your eyeliner to stay put throughout the day, it’s best to keep your eye area free of any emollients in the morning. If you apply an under-eye concealer or an eye shadow primer, dust with a translucent powder right away to set them. Kohl and crayon liners are meant to smudge, so if you want precise lines, try a long-wear gel liner or pencil. Q: Why Does My Makeup Look Different Outside? A: If you’ve ever done your makeup to perfection only to step outside and realize it looks completely different than it did in your bathroom mirror, you’re not alone. Most of us do our faces in the bathroom, where the lighting is usually warmer due to the small space and lack of natural light. If possible, try doing your makeup in front of a window with plenty of natural light. Otherwise, there are lighted mirrors you can buy that emulate natural light and office lighting. That way, your makeup will look exactly how you intend it to. Q: What Do I Do About My Dark Circles? A: Dark circles, unfortunately, are just another result of genetics. If the dark circles under your eyes really bother you, there are some things you can do to reduce their appearance. The best way would be to get yourself some more sleep, otherwise, allergy medication like an antihistamine can reduce the puffiness. If you really want them to disappear, then a red or peach-toned creamy concealer may do the trick. Peach tones will neutralize blue-hued dark circles, while red tones will neutralize dark circles with green hues. If your circles are more on the purple side, try a yellow-toned corrector. A: Most people agree that you should try to wash your makeup brushes at least once every week but if that’s not possible, at least every two weeks. Old makeup and bacteria accumulate in the bristles and will just go back onto your face if you don’t wash them. Wash your brushes with a makeup brush cleanser, being careful to keep the base of the brush head away from the soap and water. Dry the bristles down, or with the bristles hanging off the edge of a counter. This will maintain the integrity of your brush and make for better makeup application. Q: Am I Too Old/Young To Wear Red Lipstick? A: Of course not! Anyone of any age can rock red lipstick if that’s what makes you feel confident. 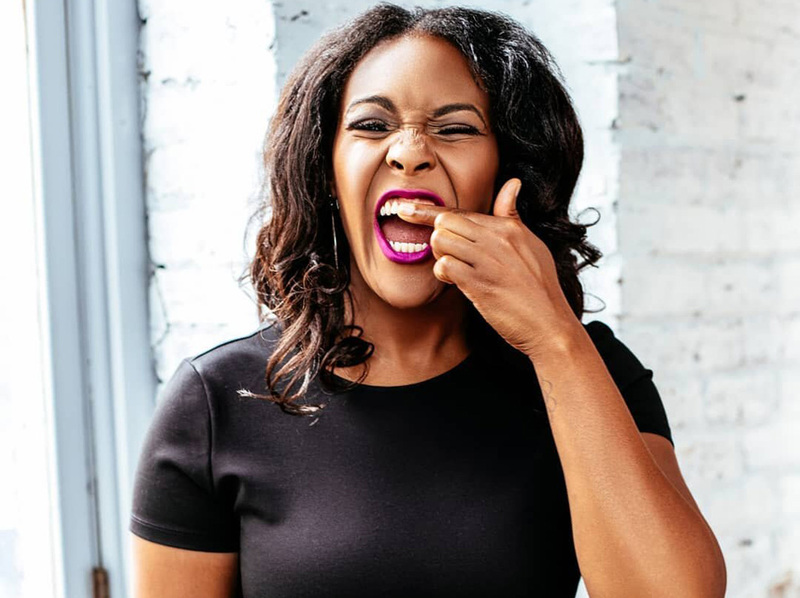 If you’re unsure about what red lipstick would look best on you, then the key is to find out what the undertones of your natural skin tone are. 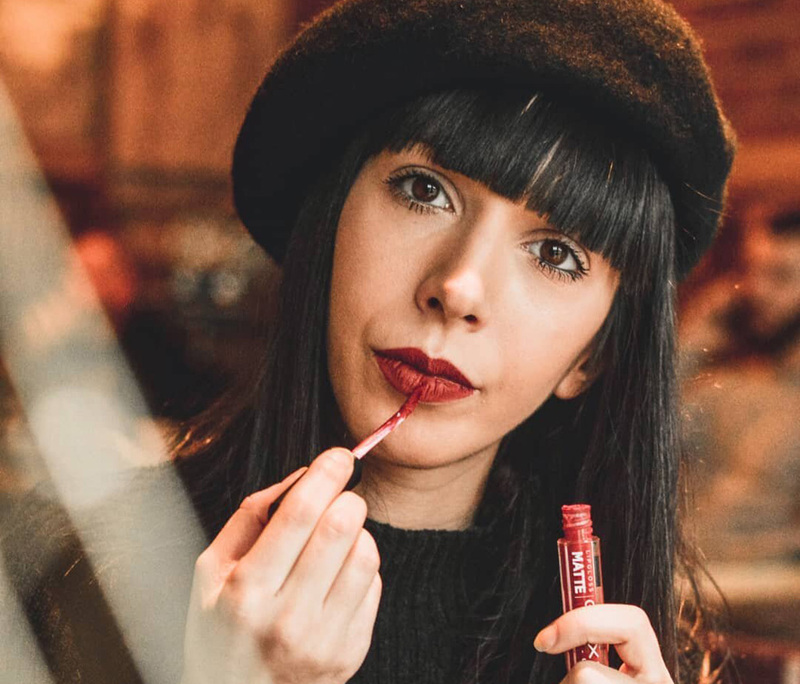 Those with warm or olive undertones might find orange reds more flattering, so perhaps a lipstick that veers towards coral and watermelon shades. Blue-based red lipsticks would compliment people with neutral or pink undertones, so they might want to look for a red that is more berry-like. Q: Should I Wear Eyeliner Underneath My Eyes? A: There is no one answer to this question, since everyone is different. The key is to understand what kind of eye shape you have and see what eye looks work best to accentuate your natural shape. 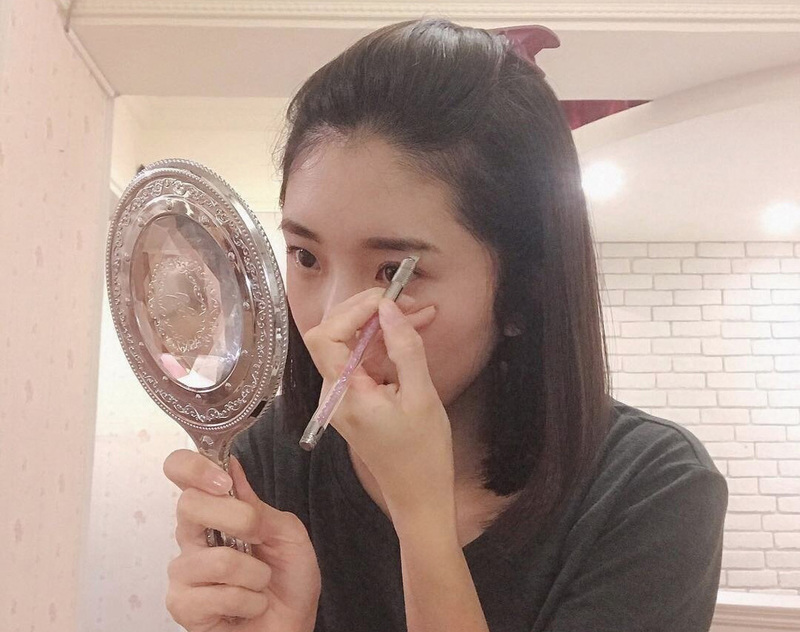 Those with round or almond-shaped eyes, for example, could look good with liner underneath but on the other hand, those with round eyes could downplay how big their eyes are by just lining on top. People with deeper set eyes might make their eyes look smaller by lining underneath. Try certain looks for yourself and see what makes you feel good. Coming up, you’ll find tips on what to do about those unwanted breakouts. Q: What Should I Have For A Basic Makeup Routine? A foundation or a tinted moisturizer will even out your skin tone. Next, a good concealer with a wand applicator might serve you when you’re pinched for time. You could use one color for both your lips and cheeks and a warm-toned highlighter that could also serve as a bronzer. Finally, get a brow product you feel comfortable with; after all, brows frame the face! Q: What Kind Of Brushes Do I Need For My Face? A: While choosing your go-to foundation is a task in itself, knowing the right brush to apply and blend it is just as important. Into the Gloss suggests finding an angled foundation brush for low-coverage foundations, since it works best for buffing the product into your skin. 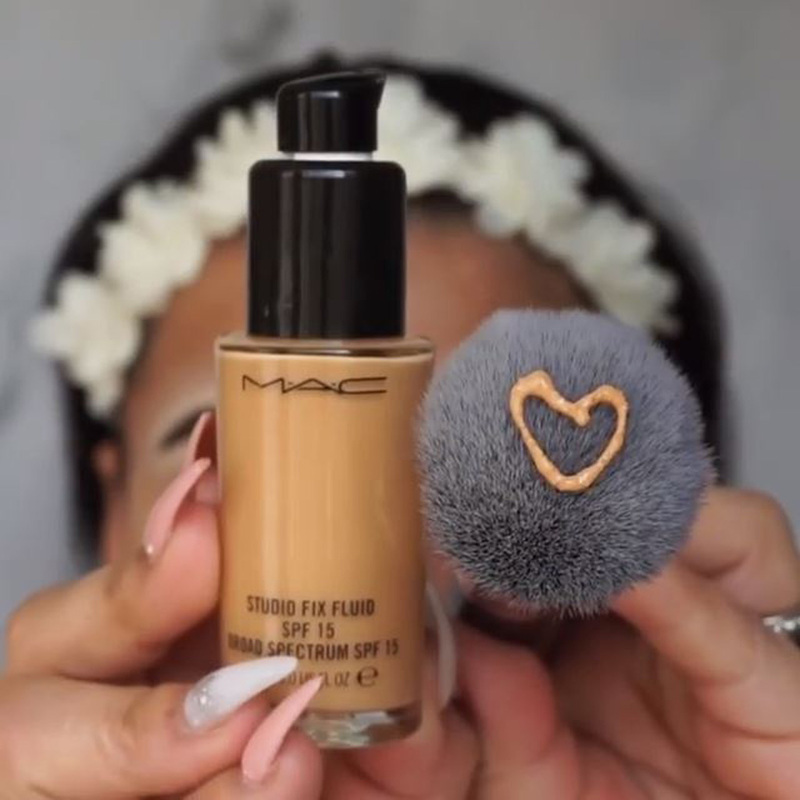 A stippling brush would help with medium-coverage foundations but for full-coverage foundations, a beauty blender or makeup sponge will get the job done. As for pressed powders, obviously use a powder brush but most beauty gurus agree that you can forget about using a powder puff. Q: What’s The Best Way To Conceal My Zits? 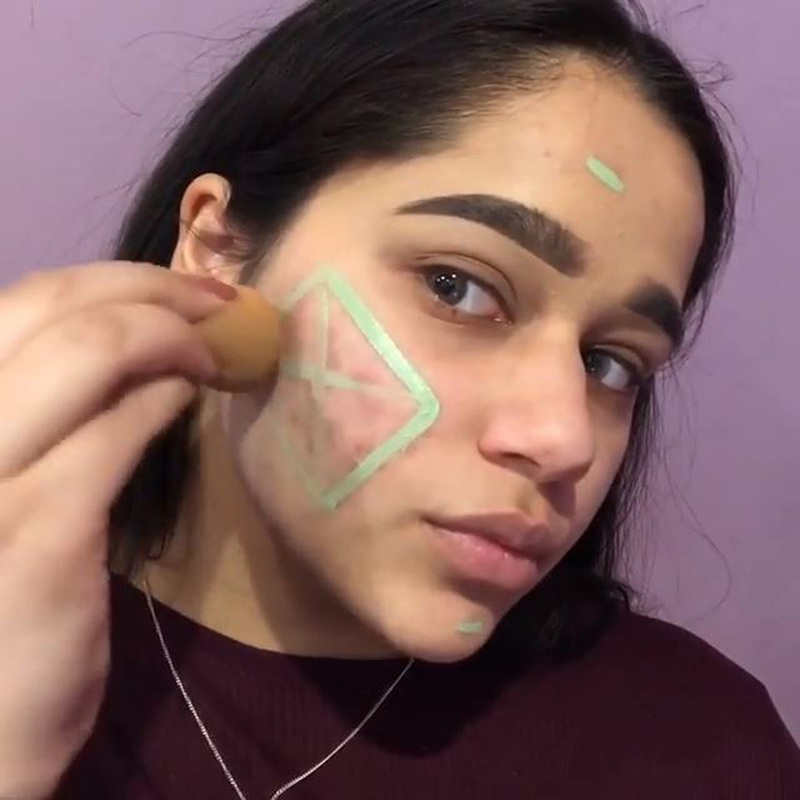 A: Of course, one of the main reasons many of us turn to makeup is to cover up our blemishes, especially those pesky pimples that pop up from time to time. Though most skincare gurus would agree it’s best to let your skin breathe during a breakout, if you absolutely need to cover it up there are some solutions. A green color-correcting concealer or face primer would tone down the redness of a breakout. Apply it while avoiding the actual zits, then apply your foundation. 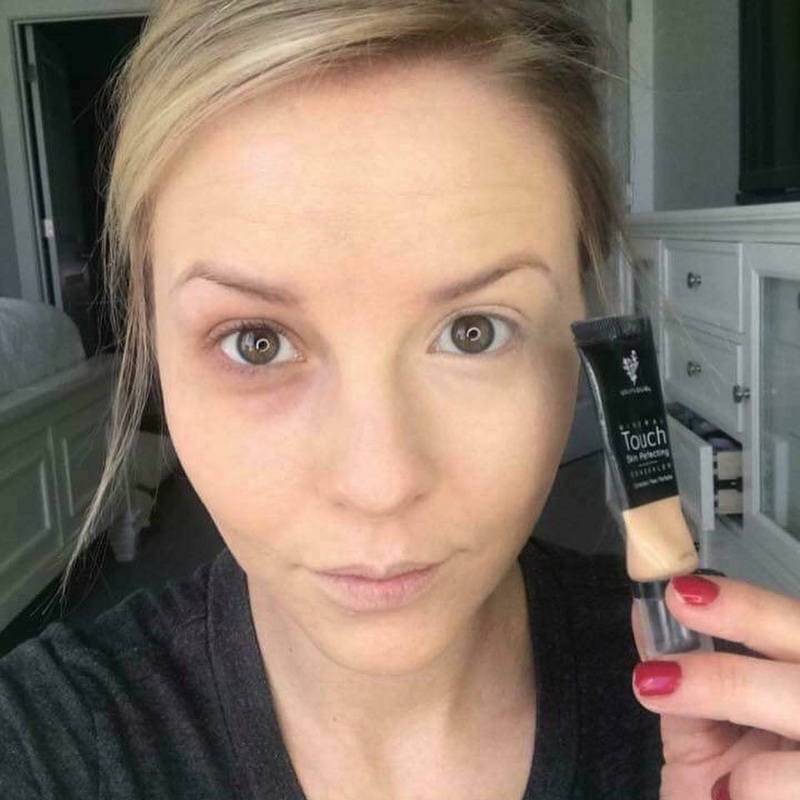 Follow up with a thick, dry concealer over your pimple(s) and gently blend it in with a clean finger. If you’ve ever broken your brand-new makeup, there’s a solution for that coming up. Q: How Do I Do A Smokey Eye? 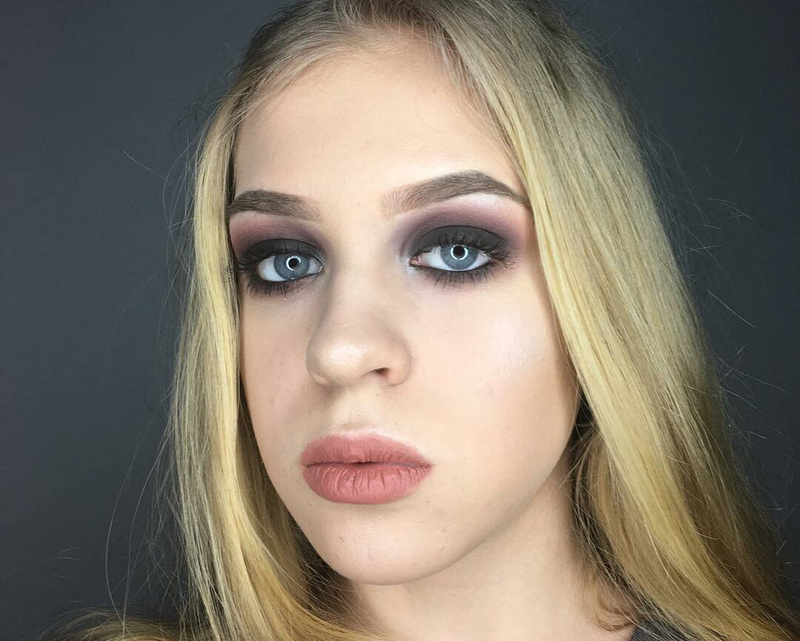 A: Achieving the perfect smokey eye definitely takes practice, but there are some key tips you ought to know to help you get it right. First of all, you’ll definitely want to prime the eyes and alleviate your dark circles with concealer. Of course, set with a translucent powder. Swipe a dark shadow (it doesn’t need to be black!) from your lashes to your crease. The most vital step is to smudge out the harsh lines by buffing the color into your crease. Define the eye with liner and finish off with your favorite mascara. Maybe add a little highlight in the inner-corners of your eye to offset all the darkness. Voilà! Q: How Do I Fill In My Eyebrows? A: Eyebrows are perhaps the most important aspect of any makeup routine since they frame your face and give it structure. It is essential to work with the natural shape of your brows, even after plucking, threading, waxing, or whatever brow-shaping method is your go-to. 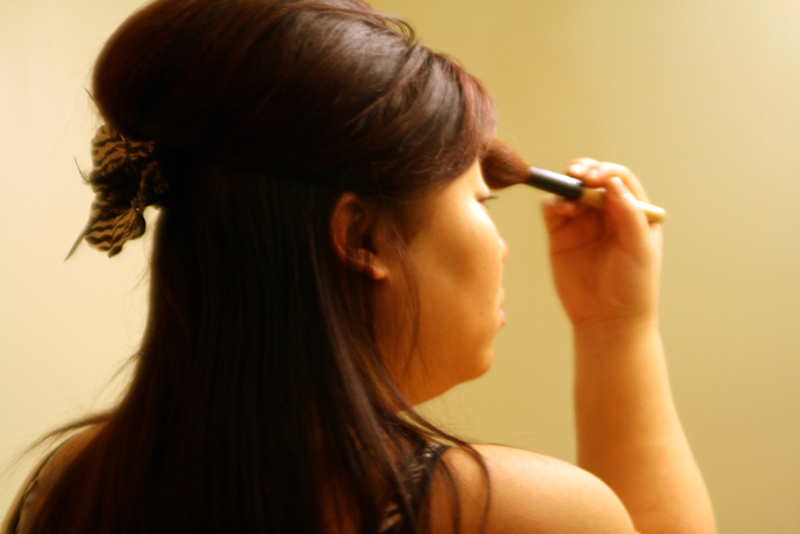 When it comes to filling them in, use light flicking motions with your brow product to mimic the hairs already there. Follow your natural arch and don’t extend the tail out too much. Be sure to blend out any harsh lines and brush your hairs into place with a spoolie. Q: How Do I Fix Broken Makeup? 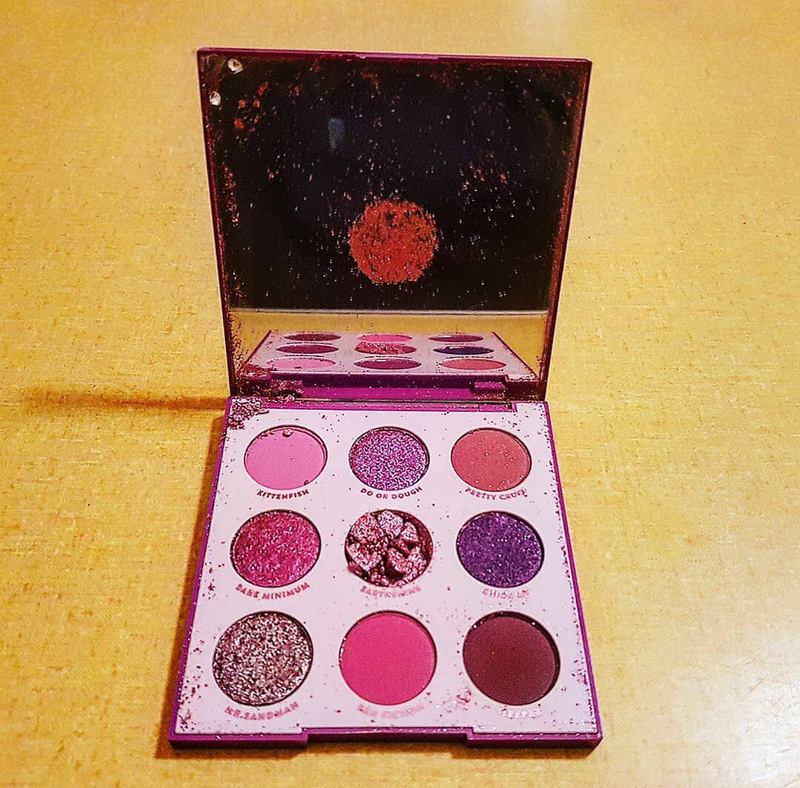 A: There’s nothing worse than getting a new compact or palette, only to see the product get shattered somehow later on. When it comes to pressed products, one option is to completely break the product up and use it as a loose powder. But if you want to get your product back to its original form, all you need is a few drops of rubbing alcohol. Collect all the broken pieces of your product in its original container and grind it up as much as possible. After adding a few drops of the alcohol, smooth it out so that it’s flat again. After it dries completely, it’ll be as good as new! Q: How Can I Prevent “Foundation Neck”? 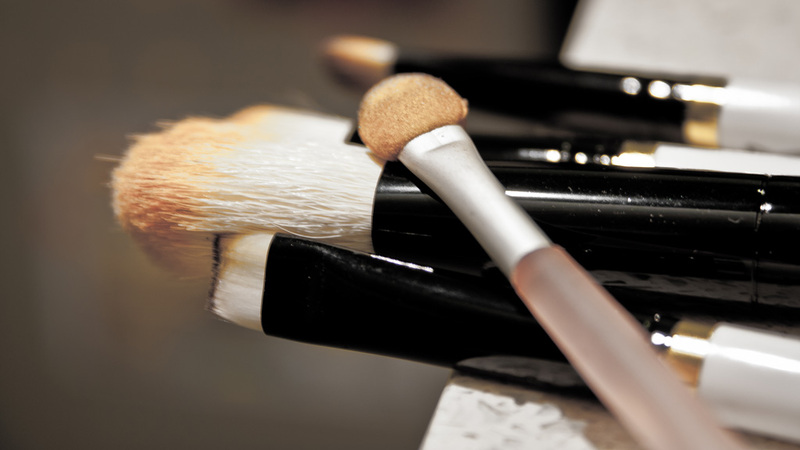 A: One of the biggest makeup mistakes is concentrating your foundation only on your face. Often times, doing this creates an obvious contrast between your face and your neck. 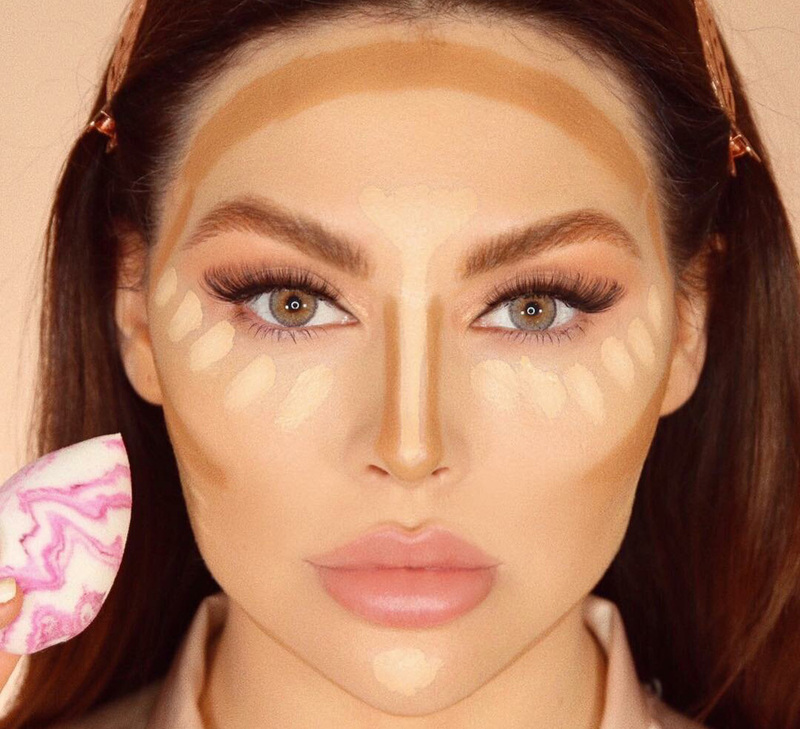 To avoid this, just remember to blend your foundation underneath your jawline and down your neck until your face is the same shade as your neck. Some people even go onto their ears for good measure. Our faces and our necks are generally lighter than the rest of our bodies. So when you only add foundation to your face, a bare neck is a dead giveaway that you’re wearing makeup. Q: How Do I Avoid Getting Lipstick On My Teeth? A: There’s nothing worse than putting on your favorite lipstick, only to smile and reveal that it smeared all over your front teeth! The easy way to avoid this is to make sure it doesn’t get on your inner lips after your rub them together. Blot your inner lips with a tissue after applying your lipstick. To make sure it worked, you could wrap your lips around a clean finger (like a popsicle) and pull it out, which should remove any excess lipstick. 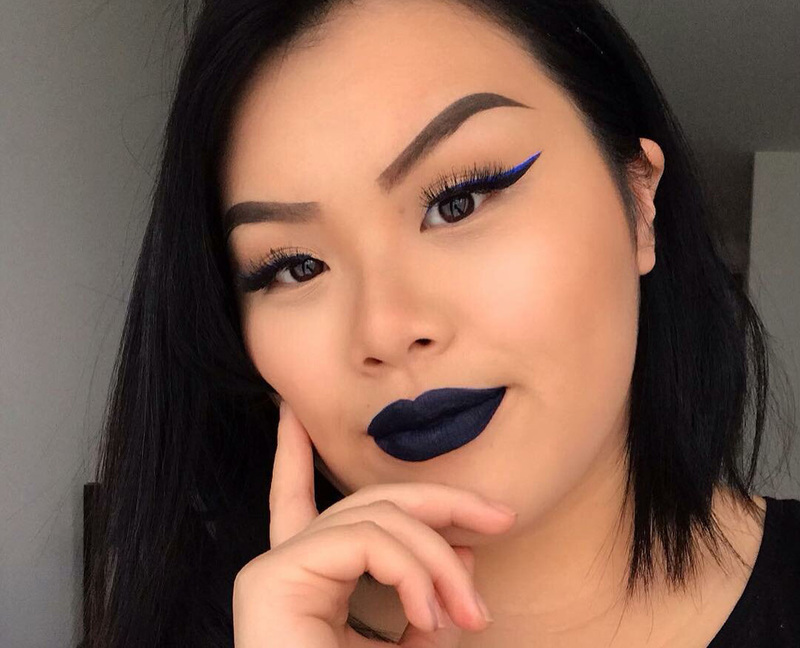 Using a long-wear matte liquid lipstick would help avoid this altogether since it stays dry.